Facebook is going to be irrelevant in 10 years time. Google has lost the search war. Microsoft has lost the desktop war. We live in exciting times. Change is in many ways the only constant we have. I started the post with what many would consider heresy- if you don’t believe me, or disagree, you have forgotten the rise and fall of all tech companies. Finally, in my mind, there are two reasons we use any given app or service 1) raw utility. it works, you use it. Wikipedia is a great example. 2) peacocking. Part of what makes apps gain great popularity is an ability to make a user appear cooler than his/her peers. Using facebook 4 years ago was very cool, very cutting edge. Today, you’re one in 500 million. Using beluga? Congratulations! you and many thousands of other people are using it too (oh wait, facebook acquired beluga. smart move. maybe it will take a little longer to become irrelevant)…. Using google 10 years ago gave you a search edge, today, you’d better be using Quora, etc. The list of companies is endless, but one of my final favorites is Myspace –> which has been replaced by Soundcloud…. a large part of my job is to try to figure out what’s hot next… the problem is no one can actually see beyond the event horizon. The mobile is a huge disruptor right now – and is driving the up and coming companies I’ve mentioned in this post. It’s a fun game to play, trend spotting and finding cool, useful apps… if you’ve got favorites as well, post them in the comments, or send them via twitter @jasonball. I’d love to know what’s hot. or not. but please don’t send me a note about geocities. 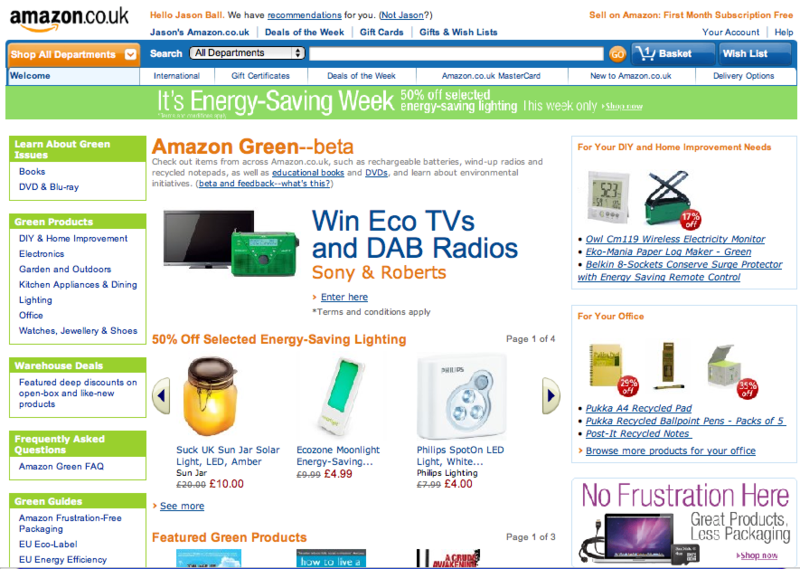 Amazon is now offering green products, green guides, eco-packaging products (Apple features prominitely). Hi, I’ve migrated TechBytes to WordPress.com. If you subscribed a while back, hopefully the RSS feed made the transition, if not, you might want to visit http://feeds.feedburner.com/jasonball to grab the freshest RSS feed. Also, finally, after 2 years of waiting on TypePad to introduce a mobile design, you can now read my site on your mobile (that’s one of the many reasons I’ve moved over to WordPress). Flexibility is good. And the WordPress app for iPhone and iPad rocks. Here’s looking forward to the next 10 years of TechBytes on WordPress. "Opera today (well, last week. I've been a little slow getting this post out) unveiled Opera Unite, a new technology that shakes up the old client-server computing model of the Web. Opera Unite turns any computer into both a client and a server, allowing it to interact with and serve content to other computers directly across the Web, without the need for third-party servers. Opera Unite makes serving data as simple and easy as browsing the Web. For consumers, Opera Unite services give greater control of private data and make it easy to share data with any device equipped with a modern Web browser. For Web developers, Opera Unite services are based on the same open Web standards as Web sites today. This dramatically simplifies the complexity of authoring cutting-edge Web services. With Opera Unite, creating a full Web service is now as easy as coding a Web page." Full press release here. Very interesting concept which I imagine Google will copy quickly, roll into Google Wave and Chrome…and leave in beta for 5 years. But they wouldn't be alone…. Nokia also has been working on making your phone into a server. I spent a lot of time last year looking into this space. It has some interesting implications on network usage and ease of use for photo sharing, etc… another problem that gets solved by having a local server is separation of data and application. Congratulations to the Spotify team- they’ve launched their public beta today allowing anyone to listen to music over the web, in what I think could be the next great music app. This is gonna be a great. My beta invite for Dropbox (funded by Y Combinator) arrived this weekend – and my initial impression is very positive. I’ve migrated my home mac use to a client/server (MacBook Pro/iMac) set up- with my iMac doing most of the heavy lifting. Apple should acquire these guys ASAP and switch out iDisk for Dropbox…and getting access to these files via my iPhone would make a nice addition to MobileMe too. 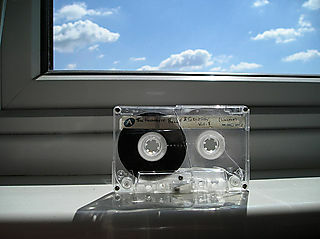 …but there are new music start ups to pick up where Muxtape left off (if it’s in fact dead, and not a publicity stunt). Some new arrivals on the scene are 8Tracks, Grooveshark Lite and Simplify Media. I’ve covered other cool music sites in the past here as well. Music startups are not for the faint of heart or the shallow-pocketed. Spiral Frog has spent $12 Million and hasn’t even launched. They were reported to be looking for a further $25 Million. And that’s pre-launch. 8Tracks has spent about $80k to get the service to where it is today, but has a special license that they’re using currently. So what’s next, who’s going to start the Music Revolution (or has it already quietly begun)?